A positive internship experience can be a major career boost. Internships offer students and recent graduates the chance to not only contribute to an organization’s mission, but to overcome the hurdle of a lack of job experience so many face early in their careers. These opportunities provide valuable professional skills they can apply to real-world situations. Actually experiencing how businesses operate can be priceless. 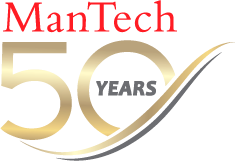 ManTech has a rather robust internship program for those seeking challenging opportunities in a number of key endeavors in ManTech business areas, including cyber, data collection and analytics, enterprise IT, systems and software engineering and more. While our internship slots have been filled for this calendar year, we wanted to share one of our success stories in a profile feature of one of ManTech’s 2017 summer interns. Here is what Carrie Heldreth had to say about her internship experience as a program control analyst with ManTech Mission, Cyber & Intelligence Solutions (MCIS) Group. What college did you attend, graduation year and major? I graduated from Hollins University in Virginia in spring 2017 with a Bachelor of Arts in business, with a concentration in finance. Was the ManTech internship what you expected? My internship was exponentially more than I expected. Not just because I finished with a job offer, but also because of the great the relationships I cultivated and the skills I learned. I went in with low expectations -- thinking the experience was going to be more like the movies with me making coffee runs and filing and sorting paperwork. Instead, I had the chance to sit in on strategy meetings and watch how a government contractor runs its day-to-day operations. And, the internship gave me a much better understanding of what a female executive in a large corporation looks like. Definitely seek out a mentor. They’re all around you, whether a peer, a supervisor or an executive. I was fortunate to have been managed by women as my first experience in the job market. I think such diversity drives innovation. What was one thing you learned that you didn’t think you would? I learned that emails are great for questions but walking to someone’s office not only gets you the answer quickly, but provides an opportunity to make a professional connection. What did you most enjoy about your internship? I most enjoyed the people and relationships I developed while I was with that group. ManTech coworkers truly became my at-work family. I’ve moved to a different office within the company, but maintain connections with those where I spent my internship. How did your ManTech internship experience prepare you for your current role today (list your current role)? I’m currently a program control analyst (PCA) here and my ManTech internship gave me exposure to multiple aspects of the business. As a PCA, I can work with several departments at any given time, and thanks to my unique internship experiences, that exposure prepared me to do my job more effectively today. PCAs tend to have our hands in different departments at all times. At the micro level, this lets us better manage our contracts. At the macro level, we have a great in-depth understanding of the larger strategic business goals. This combined view adds another level to helping my team. What recommendations do you have for other students about maximizing their internship experience? Keep in touch as much and as often as you can with the people with whom you spent your internship. People sometimes have a tendency to overlook how valuable former supervisors or coworkers can be. Remember, they know your strengths and weaknesses and have a perfect advantage to developing you into a stronger employee (even if it’s not for them). With graduation season in full force and summer fast approaching, we at ManTech will welcome a new talented group of summer interns. Stay tuned for more of their stories. We pride ourselves on building the next generation of leaders that will help us in Securing the Future.